(Jerusalem) Abuna Nirwan is a Franciscan from Iraq. Before his ordination he had completed a medical examination. When he went to the Holy Land in 2004, the Dominican Women of the Rosary gave him a relic and a rosary from their founder, which Father Nirwan always carries with him. 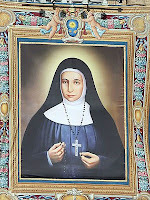 The Dominican Women of the Rosary, a missionary order, were founded by Maria Alfonsina Danil Ghattas, a Palestinian Catholic who was born in 1843 in Jerusalem, which was still part of the Ottoman Empire. At a young age, she joined a French religious order, but in 1880, according to a vision, she founded her own order for Arab girls.The missionary community, now spread in eight countries of the Middle East, is the only order founded by the Latin Patriarchy, which was reestablished in 1847 in Jerusalem. 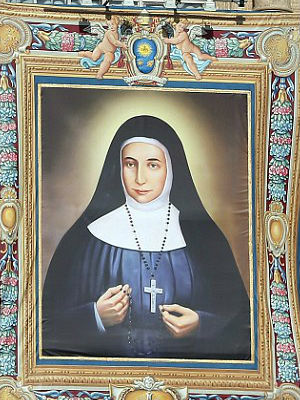 In 2009 Maria Alfonsina Danil Ghattas was beatified in Nazareth's preaching base. On May 17, 2015, she was canonized by Pope Francis. Her liturgical commemoration day is the 25th of March, when she died in 1927 in A Karim near Jerusalem (then the British League of Nations Mandate for Palestine). When Benedict XVI in 2009, had ordered the investigation for a miracle for the Beatification of the religious, as usual, he ordered the Exhumation of the Corpse. The local bishop instructs a doctor. With the exhumation of the body of Maria Alfonsina Danil Ghattas, Father Nirwan was commissioned because of his training, and he also wrote the medical report. As the Spanish Opus Dei priest Santiago Quemada, who lived in Jerusalem, reported on his blog Un sacerdote en Tierra Santa (A Priest in the Holy Land), two years before, extraordinary events had taken place. The report by Quemada has now been taken up by various media. What was reported occurred on July 14, 2007. Abuna Nirwan, who had been working in the Holy Land for three years, paid a visit to his family in Iraq. In Jordan, he got in a taxi, as he explained it in spring 2016 in the sermon in the almost completely Christian Palestinian town of Beit Jalla near Bethlehem. "It was not then possible to visit my family by plane. That was forbidden. As a means of transport, therefore, only the car could be considered. My intention was to get to Baghdad and from there to Mosul where my parents lived. The driver was frightened because of the situation that prevailed in Iraq. A family - father and mother with a two-year-old girl - had asked if they could go with me. The taxi driver told me they had asked him to. I had no objection. They were Muslims. The driver was a Christian. He told them that there was room and they could come along. We stopped at a gas station, where another young Muslim asked if he could go to Mossul. Since there was still room, we also took him. The border between Jordan and Iraq was closed until the morning. As the sun rose, the roadblock opened and the 50 or 60 vehicles were slowly moving in succession. We continued our journey. After more than an hour we came to a checkpoint. We made our passports ready and stopped. The driver said, 'I am afraid of this group'. It was a military control post. However, as it turned out, an Islamic terrorist organization had killed the soldiers and taken control of the position. When we were at the checkpoint, our passports were checked while we stayed in the car. Then they left with the passports. A person came back and said to me: 'Father, we need to continue to review. You can come to the office.' "Well," I said, "if we are to come, we'll come." We then walked a quarter of an hour, until we came to a barrack, which had been directed to us. Once there, two men with hooded faces came out. One had a video camera in one hand and a knife in the other. The other held a Koran in his hand. They came to us, and one of them asked me, 'Father, where are you from?' I said, from Jordan. Then he repeated the question to the driver. Finally, he turned to the young man who traveled with us, grabbed him from behind and killed him with a knife. We were frozen. They tied my hands behind me and said to me, 'Father, we are recording everything for Al Jazeera . Do you want to say something? But no more than a minute.' I said, "No, I just want to pray." They let me pray for a minute. Then a man pushed me down to my knees and said, 'You are a priest. It is forbidden for your blood to fall to the ground, that would be a sacrilege.' He fetched a bucket and came to cut my throat. I no longer know what prayers I prayed at this moment. 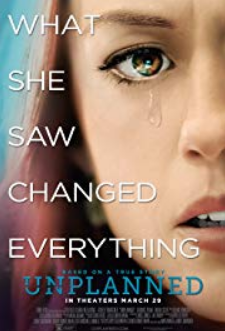 I was very afraid. Then I said to Maria Alfonsina: 'If it is so, that the Lord takes me away, I am ready. But if that is not so, I ask you that no one else will die." We did that and were able to continue the journey. Since that moment, I have ceased to be afraid of death. I know I will die one day, but now I am really aware that this will be when God wants it. Since then, I am no longer afraid of anything and nobody. What happens to me will be done according to God's will. He will give me the strength to take His cross. What counts is faith. God accepts those who believe in Him." 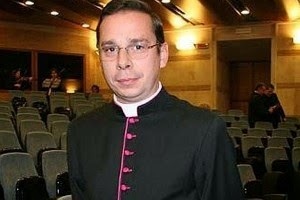 (Rome) Pope Francis confirmed the election of Msgr. Fernando Ocariz Braña the new prelate of Opus Dei . Ocariz, who had served as a vicar general of the Personal Prelature for many years, had been appointed deputy by his predecessor, Javier Echevarria, in 2014. With the death of Echevarria last December, Ocariz took over the leadership of the prelacy until the election of a new prelate. The election of Ocariz aA the third successor of the Opus Dei founder, Saint Josemaria Escriva de Balaguer y Albas, and the third prelate of the personal prelature, had been expected. The Pope is granted the right of appointment of the prelate by confirming the election. The 1982 Prelacy, established by Pope John Paul II. as Praelatura Sanctae Crucis et Operis Dei is so far the only personal prelature of the Catholic Church. For several years this has been discussed formally about the Society of St. Pius X to grant it canonical status, but a corresponding agreement has not been previously concluded. Ocariz is a member of the three-member Vatican delegation, who leads doctrinal talks with the Society of St. Pius X. He is regarded as a key author of the important Declaration Dominus Iesus in 2000. According to the latest information, Opus Dei numbers around 95,000 members throughout the world, who, in ecclesiastical matters and in their religious life, are not subject to their respective diocesan bishops, but to the prelate. About 2,100 priests are incardinated in the personal prelature. There are also an additional 2,000 diocesan priests, who are the priestly members of the Holy Cross Community, but are not incardinated. Prelate Fernando Ocariz was born in Paris in 1944 as the son of Spanish exiles, who had left Spain during the Civil War. In 1971 he earned the doctorate of theology and was ordained a priest in the same year. After several years in the youth and student chaplaincy, he was called to Rome in 1986 as a consultor to the Congregation of Doctrine and the Faith. 2003 followed, working in same capacity for the Congregation for the Clergy and in 2011 for the Pontifical Council for Promoting the New Evangelization . Since 1989 he has been a member of the Pontifical Academy of Theology. He was a full professor of dogmatic theology at Opus' Pontifical University of the Holy Cross in Rome. Ocariz has published numerous books on theological and philosophical topics, including a comprehensive presentation and criticism of Marxism. Edit: they have a "warm" relationship with a man clearly bent on persecuting the few faithful Catholics in the clergy. ROME-In a process that can be only defined as “anti-climatic,” on Monday Opus Dei chose its new leader and the third successor to St. Josemaria Escrivá, the group’s founder. Well before the electoral congress began, it was widely expected the winner would be the group’s number two man, Spanish Monsignor Fernando Ocáriz, and that’s exactly what happened. One day later, Ocáriz defined the challenges facing the institution over which he now presides as in alignment with those of Christianity generally, and society at large: reaching out to youth, families, the poor, and the infirm, and working towards Christian unity. Ocáriz, a Spanish priest born in Paris because his father, a military man at odds with the regime of Fernando Franco, had been exiled, began his first encounter with the international press by thanking “God, the 150 electors of 20 nationalities, and Pope Francis” for the trust given him. (Rome) In recent days there have been rumors that Father Federico Lombardi SJ would be replaced as the Vatican spokesman and might be replaced by a layman, was already the case under Pope John Paul II. in Rome. At that time, the Spaniard, Joaquin Navarro-Valls was the Vatican spokesman. The rumor has not been confirmed, but a change of the Vice Vatican Spokesman has been announced. So far, the Passionist Father Ciro Benedettini from the tiny country of San Marino is Lombardi's deputy as the Vatican spokesman. Father Benedettini was introduced in 1994 by Navarro-Valls in the press-service, and appointed in 1995 as deputy director. After 20 years there is now a change. Until January 31, 2016 Father Benedettini will hold this office. From February 1, the American Greg Burke will be Lombardi's new deputy. Greg Burke began in the 1980s as Rome correspondent of the weekly National Catholic Register, from 1994 he was in the same function for Time Magazine and from 2001 for Fox News. In 2012, he was appointed under Benedict XVI. as Communication Advisor to the Vatican Secretariat of State. The appointment was seen in the context of ongoing criticism about inadequate public relations of the Holy See and a bad media image of the German pope. Critics then held the then Cardinal Secretary of State Tarcisio Bertone responsible for this. Will Greg Burke Really be Vatican Spokesman? Then came the unexpected resignation of Benedict XVI. and with Pope Francis everything seemed quite different. It was said that Burke was held in disgrace because of his appointment by Benedict XVI. membership of the Opus Dei by the new Church leadership. Indeed,the American had become silent, even before he could put the expectations placed in him to the test. Senior Communications Adviser Burke got his own office at the Secretary of State but his exact field of responsibility was not defined. 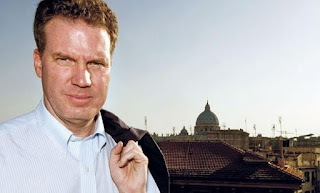 With his appointment as deputy Vatican spokesman, these voices have been proven wrong, while those who predicted that the Jesuit Lombardi would be replaced by Burke in 2012 have received new confirmation. Father Lombardi has been Vatican spokesman since 2006. In August 2017, he will be 75 years of age. How Has Jorge Mario Bergoglio Changed Since His Election? (Rome) two years and two months ago Jorge Mario Bergoglio was elected pope. Has he changed since then? If so, how? This question was recently raised by the daily El Pais in an interview with the new vicar general of Opus Dei. Msgr. Mariano Fazio is Argentineans as Pope Francis. The former Top of Opus Dei in Argentina since February its vicar general based in Rome (see The Argentine move of Opus Dei ). El Pais: How Bergoglio has changed? Monsignor Mariano Fazio: Now he smiles constantly, he didn't do that before. The current Cardinal of Buenos Aires: Bergoglio had the mien of gravedigger. The Vicar General quoted the acting archbishop of Buenos Aires and Primate of Argentina, Cardinal Mario Aurelio Poli. Two weeks after his election, Pope Francis named the then Bishop of Santa Rosa as his successor as the head of the Church in Argentina. In February 2014 he raised him to the state of Cardinal. Monsignor Fazio also provided a rationale for why the transformation of the "permanent smile" from the "gravedigger face": "I think this is a grace of the Holy Spirit, but essentially it is the same, very spiritual, very close." The testimony of Msgr. Mariano Fazio for El Pais became a "softball interview for Francis," said the well-known Spanish blogger Francisco de la Cigoña. 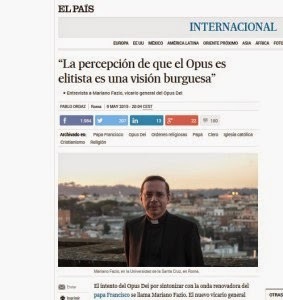 (Rome) For the first time in its history a Spaniard will not take a top position in Opus Dei. The election of the new Vicar General of the personal prelature fell to the Argentine Msgr. Mariano Fazio, whom Jorge Mario Bergoglio knows personally. "It's a decision that seems carefully considered in order to strengthen and improve the relationship between the Prelature and Pope Francis," said the Vatican expert Sandro Magister. In these first two years of the pontificate, the relation between the Pope and Opus Dei has been formally excellent. This was contributed to by the hearings which were granted Msgr. Carlos Maria Nannei, the predecessor Fazio as vicar of Argentina. In reality, the signals indicated in the exact opposite direction. The Opus Dei would have liked the beatification of their second superior, Msgr. Alvaro del Portillo, in Rome. Portillo was the successor of the founder, St. Josemaria Escriva de Balaguer. However, Pope Francis did not grant a dispensation. Thus, the ceremony was held last September 27 in Madrid, although the new Blessed had spent the last decades of his life in Rome and died there. It has also not escaped observers that Pope Francis not summoned on a single representative of Opus Dei to the synod as experts or auditors for the 2014 Synod of Bishops, although the personal prelature counts many renowned theologians and canonists in its ranks. Since there is no President of a Bishops' Conference and no head of a dicastry in the Roman Curia which belongs to Opus Dei, the work of God has had no part in the Synod work. In 2015, the Synod of Bishops things will be different. Among the Synod Fathers elected by the episcopal conferences there are already three representatives of Opus Dei: Archbishop José Gomez of Los Angeles (USA), Archbishop Antonio Arregui Yarza of Guayaquil in Ecuador and Bishop Jaime Fuentes Martín of Minas, Uruguay. A few days before the start of the Synod of Bishops in 2014 Pope Francis decreed the dismissal of an Opus Dei bishop. On September 25, it was announced in Rome and Paraguay that Bishop Rogelio Ricardo Livieres Plano, a most outstanding figure, was relieved of the episcopate of the Latin American country, without giving a reason of why his office was taken. Bishop Livieres was summoned to Rome a few days earlier (in his environment, it means you've lured him from his diocese), where he had learned from the media of his dismissal. The statement by the Vatican Press Office, still had given to understand that the faithful bishop disturbed his brother Bishops in Paraguay. Since Liviere promoted priestly vocations in contrast to other dioceses and built a private seminary for that reason, free of the influence of liberation theology, he had three times the number of seminarians in a diocese which includes ten percent of Catholics in the country, which is almost three times as many seminarians as all of the other dioceses. The bishop also promoted the traditional rite. The seminarians were trained in both forms of the Roman Rite. In almost all of the parishes of his diocese the Immemorial Mass of All Ages was celebrated. It's a situation that was unbearable in other parts of the church. Despite repeated requests to see Pope Francis, he was refused an audience. Since Bishop Livieres did not let his dismissal by the Vatican without comment, he was immediately dropped from Opus Dei. In Peru, Opus Dei had suffered bitter defeats. In recent months, two of its prelates were emeritus of age. Neither Archbishop Juan Antonio Ugarte Pérez of Cuzco nor Bishop Jesús Moliné Labarte of Chiclayo were replaced by brothers of the Opus Dei. Although Cardinal Juan Cipriani Thorne an Opus Dei member is Archbishop of Lima in 1999, he was in contrast to his predecessor never elected President of the Peruvian Bishops' Conference. John Paul II. tried to renew the Peruvian episcopate on Cipriani Thorne and Opus Dei. It was a renewal that got stuck half way and now runs in reverse. With the recent appointment of bishops, the anti-Opus Dei majority was strengthened in the Peruvian episcopate. Msgr. 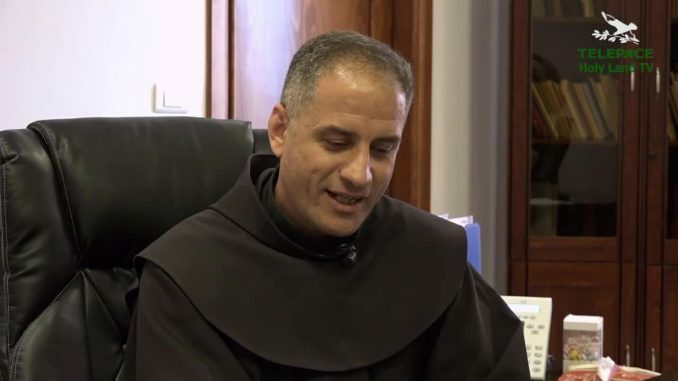 Mariano Fazio was appointed to be the new vicar general of the only personal prelature of the Catholic Church, after having been received last September 30th by Pope Francis. The name of the Argentine prelate was then curiously misspelled in both the daily bulletin of the Press Office and in the Osservatore Romano as "Fassio". Fazio is a Professor of the History of Political Theory at the Pontifical University of the Holy Cross of Opus Dei in Rome. He is a long time proven expert in the modern history of ideas. In Argentina it is said that Fazio knows the enemies of the Church and their thinking. 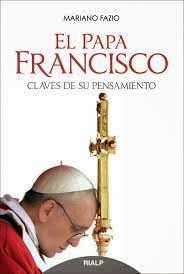 The former Vicar (Upper) of Opus Dei in Argentina wrote right after the choice of the Archbishop of Buenos Aires to be pope, a Francis-book: "El Papa Francisco: Claves de su pensamiento." (Pope Francis The key of his thought). That may have been taken into account in the calculation, that Pope Francis will hopefully be benevolent to the Argentine Fazio. He has not explained, however, the "key" to Bergoglio's thinking in his book. 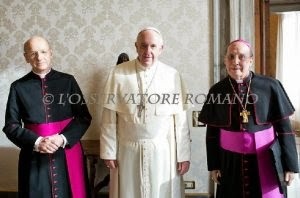 (Rome) Prelate Javier Echevarría, who has been at the head of the Personal Prelature of Opus Dei since 1994, has engaged an important personnel decision and thus undertook a strategic course in naming his successor at the head of a Personal Prelature. Echevarria, who has the rank of bishop, is the second successor of Opus Dei founder Josemaría Escrivá de Balaguer y Albas (1902-1975). Escrivà was canonized in 2002 by Pope John Paul II, and his first successor, Monsignor Álvaro del Portillo (1914-1994) was beatified by Pope Francis on September 27, 2014. Monsignor Javier Echevarría has now appointed a deputy.The decision was justified with the proliferating global tasks and his advanced age. Echevarría, born in 1932 who reached his 82nd birthday last June 14, had appointed the former Vicar General of the Prelature, Msgr. Fernando Ocáriz as his deputy. In Dec. 9 came the appointment came into force transmitting to Msgr. Ocáriz all that is necessary for the responsibility the management of the Prelature, including the prelate's reserved decision-making powers. The only exceptions are the responsibilities associated with the episcopal office of the prelate. The appointment was made ​​in accordance with Article 134, paragraph 1, and Article 125 of the Codex iuris particularis Operis Dei , which John Paul II. approved with the Apostolic Constitution Ut sit on 28 November 1982. In contrast to countervailing tendencies to bureaucratize ministries occupied for life in the church and to limit their time, the prelate of Opus Dei continues its life in accordance with statutes. For this reason, the statutes provide for the possibility that the prelate may freely appoint a deputy in the form of a coadjutor. The General Council of the Prelature can also recommend such an appointment. Msgr. Fernando Ocáriz was born in 1944 in Paris. He studied physics at the University of Barcelona and then theology at the Lateran University in Rome. At the University of Navarra, he received his doctorate in the New Evangelization. In 1971 he was ordained a priest and later taught Fundamental Theology as Professor at the Pontifical University of the Holy Cross in Rome. Since 1986 he has been Consultant of the Congregation and since 1989 a member of the Pontifical Academy of Theology . Since 1994, he exercised the office of Vicar General of the Prelature. He is regarded as one of the principal authors of the Declaration Dominus Iesus on the unicity and salvific universality of Jesus Christ and the Church in 2000. 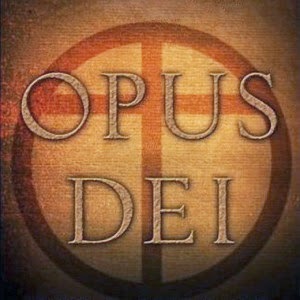 Opus Dei, canonically erected in 1943, is the only personal prelature of the Catholic Church. The prelate has the rank of bishop. Already, Msgr. Echevarria held the Office of the Vicar General in Opus Dei before his appointment as Prelate. 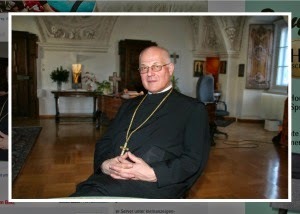 (Vienna) The senior abbot of the Austrian Benedictine Abbey of Altenburg, Christian Haidinger, feels himself called since his election as President of the Conference of Superiors of Male Religious Communities in Austria, to publicly attack the Catholic Church and this, primarily on issues that do not concern him as a monk. In a study conference "Women in the Church. Equal dignity - Equal Rights" Haidinger again renewed the call for women priests. Abbot Haidinger has presided over a Benedictine abbey till last March 14, he is now Abbot President of the Austrian Benedictine Congregation and President of the aforementioned Conference of Superiors of Austrian male religious. There is no higher religious in the Alpine republic. Elected on 25 November 2013, as President of Major Superiors, he gave an interview upon his entrance in which he berated the Catholic teaching on marriage as a "disaster" and castigated the Church's handling of remarried divorcees as inhuman. He also called for the abolition of priestly celibacy and the admission of women to the priesthood. Amazing polemical, regarding women priests, even heretical statements that have nothing to do with Benedictine monastic orders. The ecclesiastical hierarchy was habitually silent on the precipitation of the Abbot President. Then Abbot Haidinger asserted this: the No to women priests, it will not stay. Haidinger proposed to organizers with the suggestion that the religious "considers it not only possible but urgently desirable for" women to be ordained. Relevantly positioned teams invited last Saturday in St. Pölten for the conference "Women in the Church. Equal dignity - equal rights ". The title was program. The result, which was reflected in a resolution at the end, was already clear before the beginning. 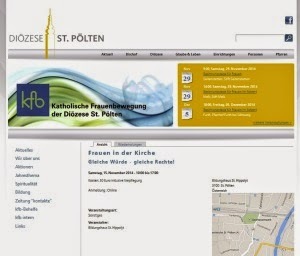 Invited were the heretical organization "We Are Church", the disobedient priests of the "pastor initiative", the left Catholic Catholic Women's Movement Austria (KFBÖ), the notoriously progressive St. Pölten "Forum XXIII.," The group "Priest Without Office" and the same spectrum belonging "Taxhamer Parish Council Initiative". The meeting was also included the "Fall Meeting of Reform Initiatives," which is referred to the left side of the Church itself. Abbot President Haidinger was thus in a society that is more outside than inside the Church. The perspective can be turned around, making it clear how far heretical and schismatic positions are penetrated into the Church, of course. Never the less it should be told how far these positions are already recognized in the Church in Austria, when the bureaucratic, highest religious representative of Austria it taken into account, so assuredly moves in these circles and accepts its positions as its own. Haidinger flirted in his talk with the new modesty. As the "little monk" he had nothing to propose to the question of women, but then he did it. "The time will come when women will also get access to our Church offices, which are now reserved exclusively to men." The Abbot President portrayed himself as the preventive courageous sacrifice, for he foresees that he for his criticism and demands must "take a beating". There's no sense that this is going to happen, for In St. Pölten, Haidinger only met with vigorous applause. But, as the Abbot President, he knew he is "not alone" in his demands. Actually that is to say that a majority of theologians agree. He even knew of bishops who were in favor, "at least to admit women to the diaconate." There are "theological reasons" for the admission of women to the ordained ministries. In addition, we have had "encouraging experience" with women in pastoral positions and finally there were "great theologians". There were hurdles but Abbot Haidinger sees no obstacles for women priests only because of the predictable "great irritation" of the Orthodox, who would burden the ecumenical dialogue. For his thesis, the abbot appealed to Pope Francis before the Synod of Bishops for a "desired open and frank discussion" in the Church. The Pope himself spoke of a need to "deepen the woman question", said Haidinger. In addition to the Benedictine Abbot President, the feminist theologian Grazer Frau Fischer spoke. Fischer is a member of the advisory board for the new translation of the "Bible in just language". Petra Steinmair-Pösel talked about "the current situation of young women and theologians in the Church" is based on "The latest material from the sociology of religion studies with Prof. (Paul) Zulehner". Also, there was an "Experience Report of a Nun" by Sr. Maria Schlackl SDS from Linz, a "Salvatorian of the Passion". The study meeting called in the final resolution for an "end discrimination against women" through and in the Church. Those present agreed that the exclusion of women from the priesthood is an "impermissible discrimination" is the true remedy it. Finally, women have "effected and inspired" the Church, which is why their exclusion from ordained ministries is untenable. The resolution reads: "The exclusion of women from the priesthood is a discrimination that can not blame Jesus for the argument that he didn't grant them authority. Already, due to the natural divine law, no discrimination is inadmissible; to turn it off, it does not require any special authority. " The "Fall Conference" demonstratively ended with a "celebration of the Word of God, which was headed by women". The venue was the formation house St. Hyppolit in the diocese of St. Pölten. Of the said diocese and the competent diocesan Bishop Klaus Küng (Opus Dei) there has been no opinion on the meeting, the resolution and the appearance of Abbot President Haidinger. On the website of the Diocese the meeting was about the Catholic Women's Movement advertised in the official calendar of events. The Diocese of St. Pölten was headed, until 2004 by the late, militant Bishop Kurt Krenn, who braced himself against heretical positions and was brutally put down by the same circles. (Lima) Harsh words is what one of the most prominent representatives of the Church in Latin America, the Peruvian Cardinal Juan Luis Cipriani Thorn Cipriani, Archbishop of Lima and Primate of Peru, used in an interview with the Peruvian newspaper La Republica about an attempt to discredit him, which is in full swing from outside and inside the Church. In July, Bishop Gabino Miranda Melgarjo, the Auxiliary Bishop of Ayacucho Ayacucho had been deposed by Pope Francis and returned to the lay state. The harsh measure was justified by "sins against the sixth commandment." Specifically, the accusation of pedophilia was brought against the bishop. While the allegation is proven for Rome, Cardinal Cipriani Thorne, is still behind Archbishop Miranda. Miranda is regarded as the closest confidant of Cardinal Cipriani in the Peruvian Episcopate. The Cardinal speaks of a "strategy to discredit" his person. It is known that Cardinal Cipriani Thorne doesn’t have only friends in the Latin American episcopate. The "Catholic rock" in Latin America isn’t just opposed by unchurched circles, but also the colorful spectrum of progressive Church circles of the American subcontinent. For the Cardinal, the is evidence to the contrary, the presumption of innocence. He accuses Rome of having granted the defendants no way to exonerate themselves. Miranda, who was Auxiliary Bishop of the Archdiocese of Ayacucho Ayacucho since 2004, categorically rejects the accusation of pedophilia by itself. The investigation of the Peruvian prosecutors are still in progress. 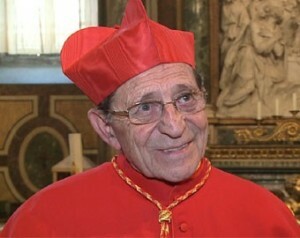 Cardinal Cipriani sees a “conspiracy” in the dismissal of Bishop Miranda, which is in reality directed at him. His recent trip to Rome had been "taken advantage of by certain forces". The Church "will never be an accomplice of silence." What happens within the Church, however, was "surprising" and "needs to be clarified," said the Cardinal, who belongs to Opus Dei. Cardinal Cipriani is regarded as the best known and most distinguished "conservative" Church leaders in Latin America. It was during his tenure as bishop that he has repeatedly been the target of smear campaigns, like in 2001 when then-President Alejandro Toledo forged documents played to the Vatican to discredit Cardinal Cipriani. Or 2011 as the anti-Church media launched a campaign of denigration against the Cardinal. At that time, the spokesman of the Archdiocese of Lima, Ricardo Sánchez Serra said that really was against the attitude of the Cardinal in his defense of the Church and its teachings, to his commitment to the protection of life, for the family and for marriage between a man and a woman. At that time the Cardinal was protected by Pope Benedict XVI. End of March Cardinal Cipriani Thorne defended the new pope against the accusation of wanting "Revolutionary" (see the interview Francis Pope A merciful Without Compromising the Doctrine of the Faith - Interview with Cardinal Cipriani Thorne ). (Vatican) Much has been written in recent days about the Vatican Secret Dossier, and even more speculation. It's about the final report of the Commission of Inquiry consisting of three cardinals Pope Benedict XVI. had used to investigate the issue which became known as the "Vatileaks” document theft scandal that led to the arrest of the papal chamberlain Paolo Gabriele. 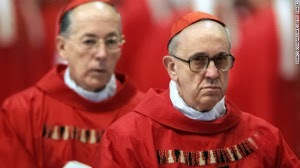 When the Holy See announced that the cardinals will be granted access to the report before the conclave, but this will not continue to be published, the journalists have had an editorial high season. And the more unreliable, the more speculation shot up like a tangle of weeds that Benedict XVI. had resigned because of this report. In a document that is not to be made available in the foreseeable future, anyone can interpret into it what he wants. Even some Catholic journalists could not keep themselves in check, and thought to have to ride the wave that showered the church with garbage. The head of the pontifical commission, Cardinal Julián Herranz, a member of Opus Dei, canon law expert, physician and psychiatrist had only once previously only taken a position on the matter. He did this in an interview with the Spanish daily El Pais on 19 Published in February. A look at this week utilized to see things beyond contrived media excitement, the right scale. Julián Herranz was born in 1930 in Andalusia. Ordained a priest in 1955, he has worked since 1960 at the Roman Curia. In 1990 Pope John Paul II appointed him an Archbishop in the Curia and created him a cardinal in 2003. He is Chairman Emeritus of the Pontifical Council for Legislative Texts and the Disciplinary Commission of the Roman Curia. Cardinal Herranz was appointed by Pope Benedict XVI. in the Commission to examine the phenomenon of Medjugorje. Although the final report for church recognition of the Herzegovina as "place of pilgrimage” seems as of yet not ready for the Pope. The Spaniard celebrated the Extraordinary Form of the Roman Rite after the adoption of the motu proprio Summorum Pontifical, and was a member of the Pontifical Ecclesia Dei commission. You have led the commission regarding Vatileaks, on the 17th December, the Pope received its final report. There has been much speculation about the contents of this report, which one imagines is extremely serious, to the extent that many are of the opinion that it had been crucial for the resignation of the Pope. This matter has been enormously inflated. I assure you that in my capacity as Chairman of the Commission of Inquiry that a bubble was constructed from it, the air will soon be out on its own. In the Vatican, it is relatively common, to form committees of this kind. You have the task of examining how things are in a certain area. It goes and talks to people, looks at the things that sees things that go and those who do not, the lights and the shadows, it made notes, and finally the results are reported to the competent authority. It then comes to the competent authority to make the decisions it deems appropriate. The matter has conveyed a bad impression of the church. But it's just a soap bubble, an anecdote. The willingness to want to see nests of vipers, mafia groups fighting each other, internal jealousies and hatred, all this is absolutely wrong. I have been working for more than half a century in the Vatican, and I can say that I admire many of my colleagues, for their capacity for devotion and sacrifice. There will be black sheep, as in all families, which I will not argue, but we speak of the least corrupt and most transparent government, there is. More than any international organization and any secular government. I have been following the media attention, I am a hermit, and I read what happens in the world and see that we speak of the least corrupt government that has been exemplary in many respects. [...] In fact, they created a bubble of mysterious things. It comes with a lot of imagination. It is clear that there is no government, family or organized group that has not even an intimate area that is removed from the public. In any government, there are far more dark areas of intelligence and decisions that a president makes, without making them public, far more than in the Vatican secret areas. The case of Vatileaks has not really scarred the Pope? No. I assure you that this is just an anecdote compared to the decisions of the Holy Father and the problems of the Church. The fundamental problem of the church is the need for a new evangelization. The church suffered a terrible persecution. 80 percent of people worldwide who have been persecuted in the past year because of their beliefs were Christians, and other institutions say this, not the Church itself. So it happens in India, Pakistan, Africa. In other places, they are discriminated against, as if they had wrong, reprehensible opinions. And then there are more toxic forms of persecution. In Europe, the Church has certainly lost a lot of power. Anyone looking at the Church as a power monger, is wrong from the outset. The message of the Church is persecuted there, where there is an absolutist stance. Where religious freedom is not granted. 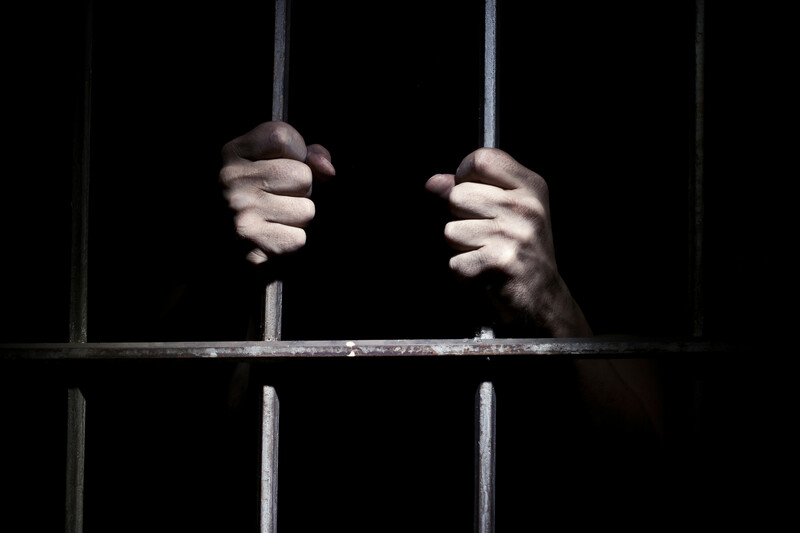 It is estimated that last year were around 100,000 Christians persecuted, imprisoned or murdered. For three years, a family of mother, Asia Bibi in Pakistan is in prison and there are only a few secular bodies who raise their voices. Again, these things cause one anguish. And the Pope is aware that the waves of the ocean is in a state of flux and that the ship needs a solid hand control. What qualities should the man who presents himself as the new Pope to the control? Two things. In the first place it is necessary that there is a man who loves Christ. That he knows and loves Christ as the founder of the Church. But this property is met by all the cardinals? Of course, but not in the same way. All Cardinals can talk, but it is to see who speaks best. There are different degrees of holiness in the people. It is not irrelevant to whether someone has the monastic vocation, as Celestine V, or if another is a friend of Christ in the same way, but aware, is what happens in the world, what ideological and cultural trends in the world waves hit. That he is prepared to explain his love for God others. Exactly. The carry forward the new evangelization, white publicize Christ in the world. Yes, these are indeed secondary issues, but of great importance. Age, health, language skills, ability to travel and perhaps nationality.